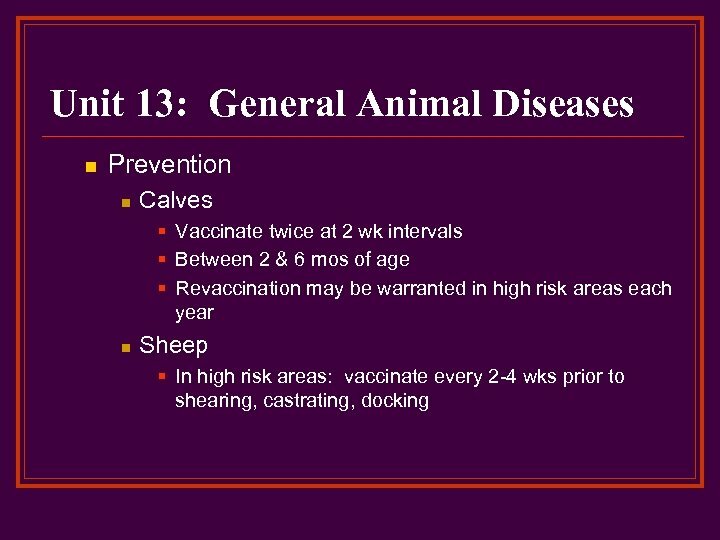 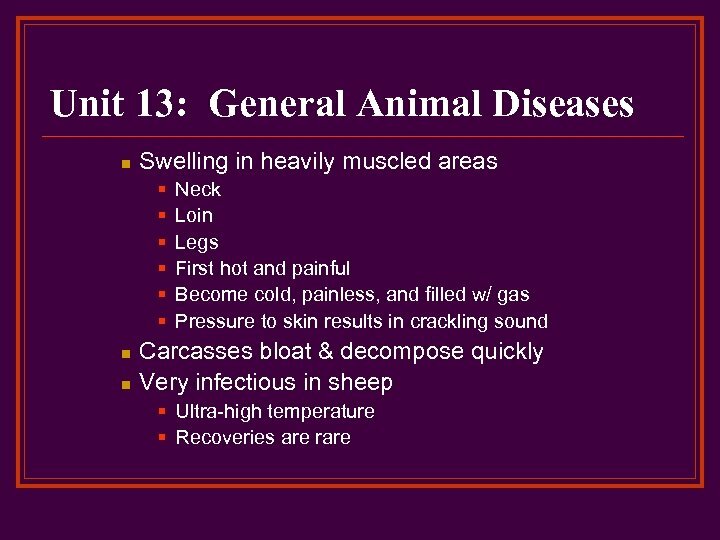 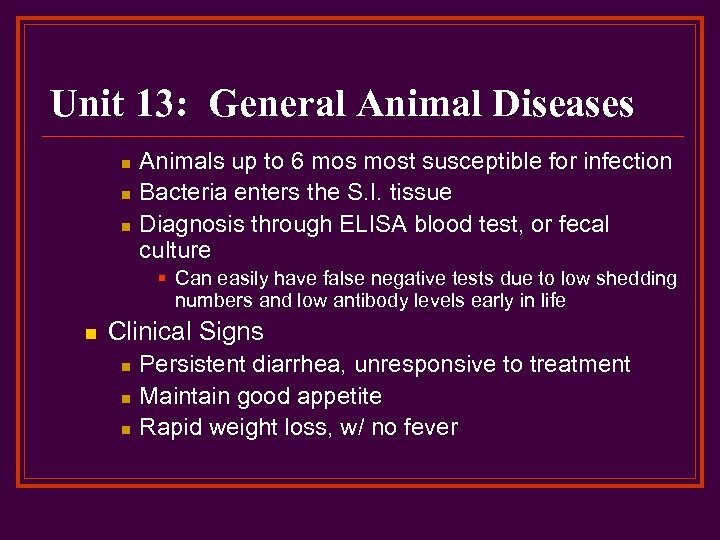 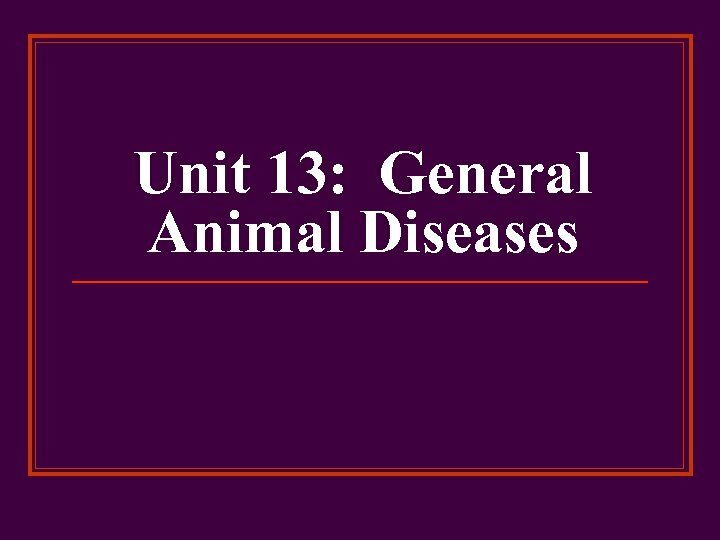 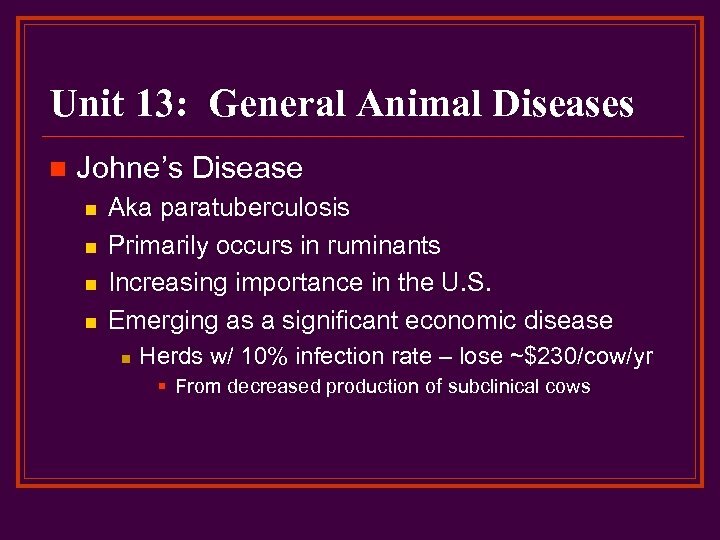 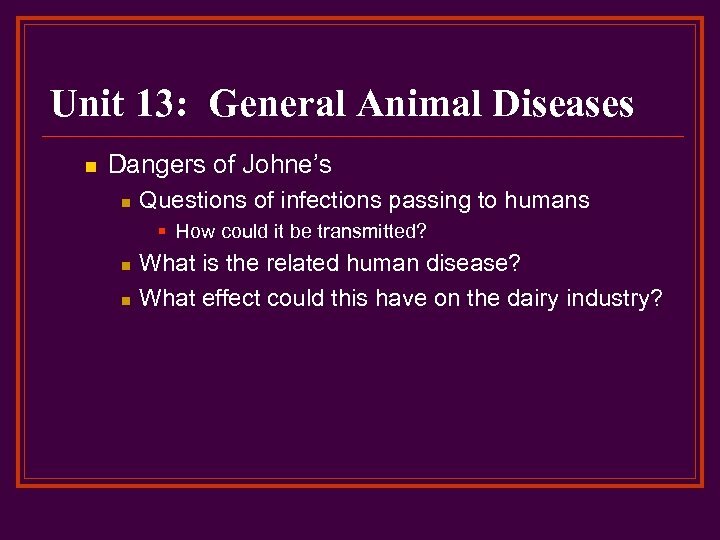 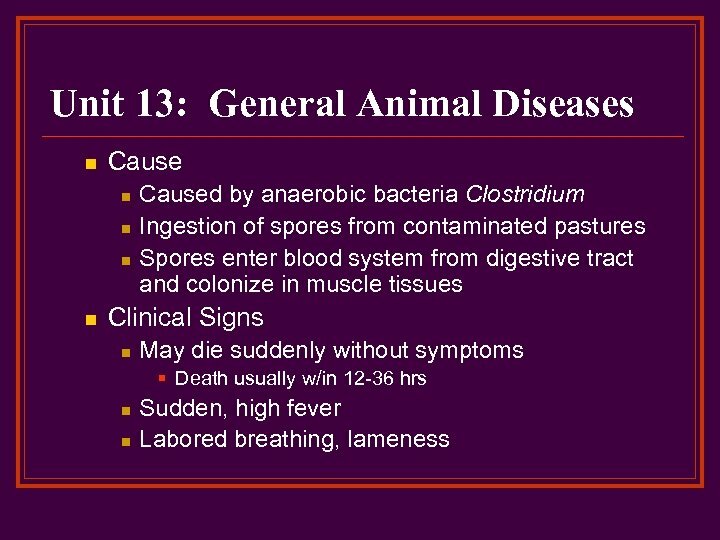 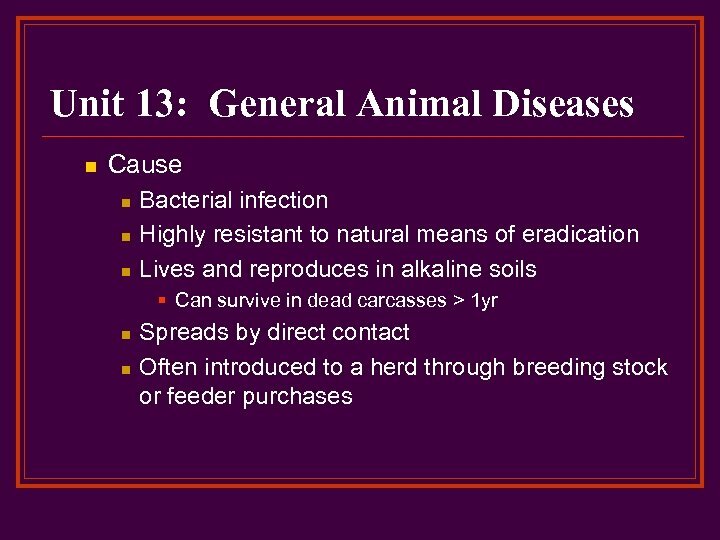 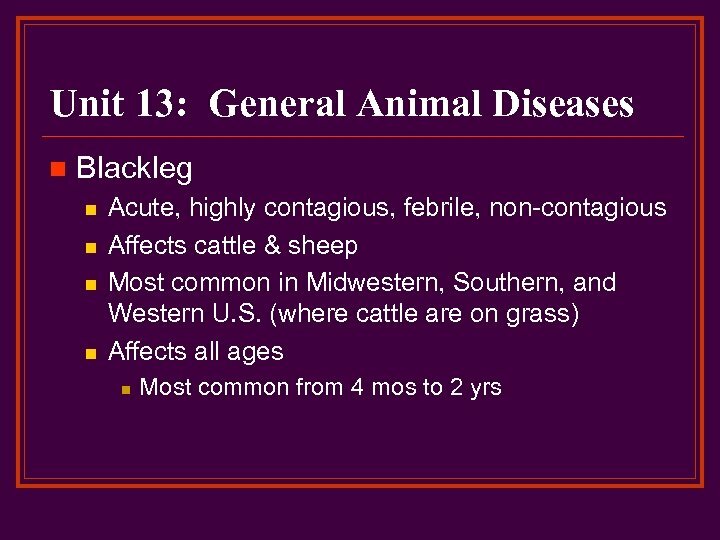 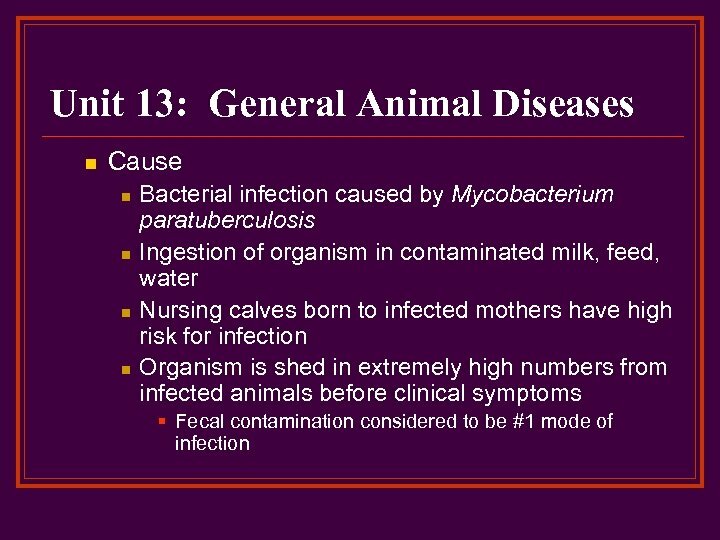 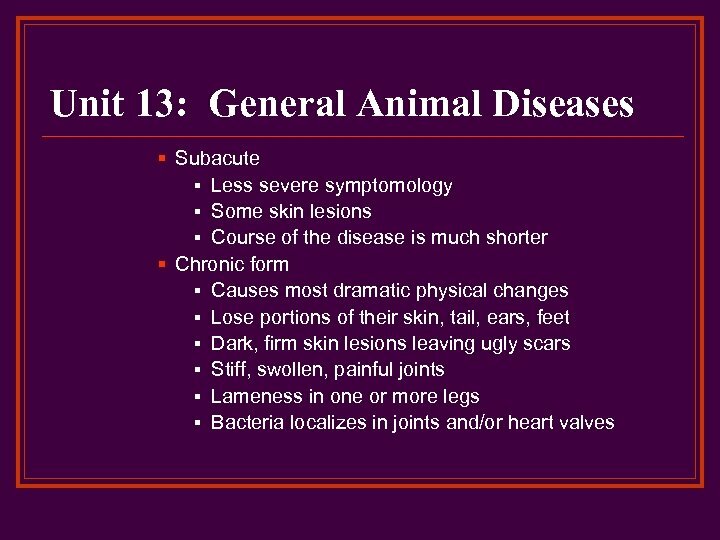 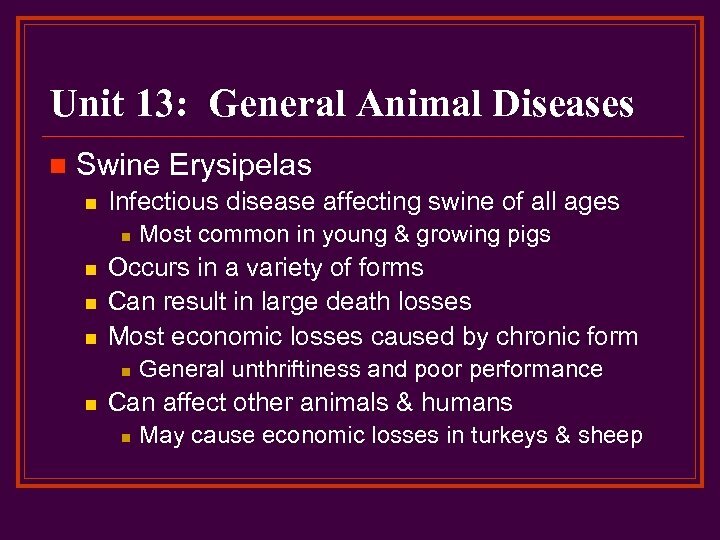 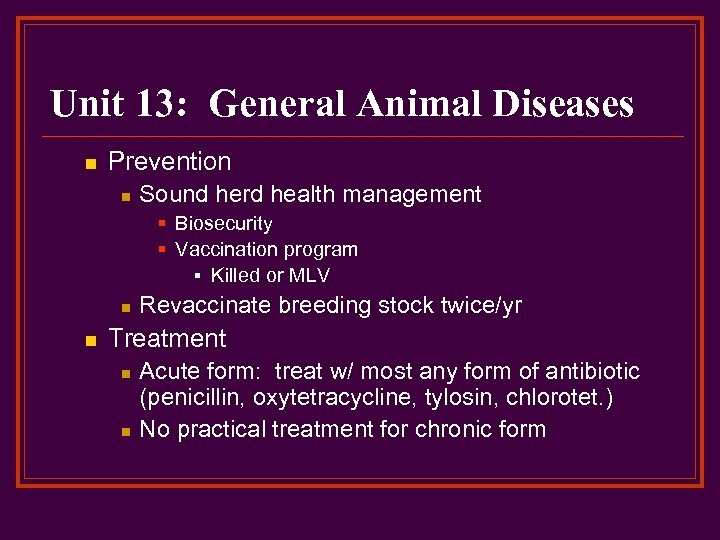 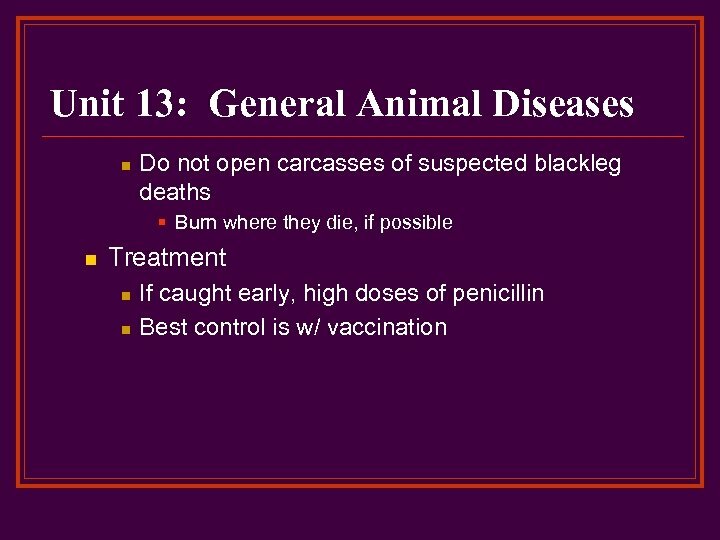 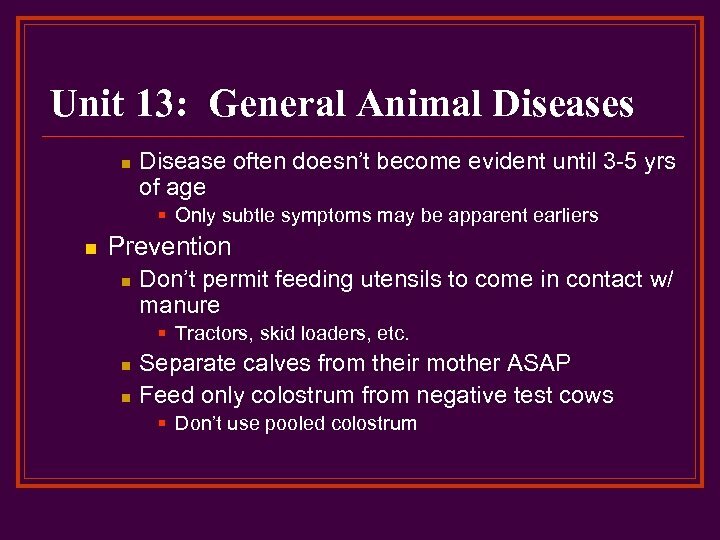 Unit 13: General Animal Diseases n Dangers of Johne’s n Questions of infections passing to humans § How could it be transmitted? 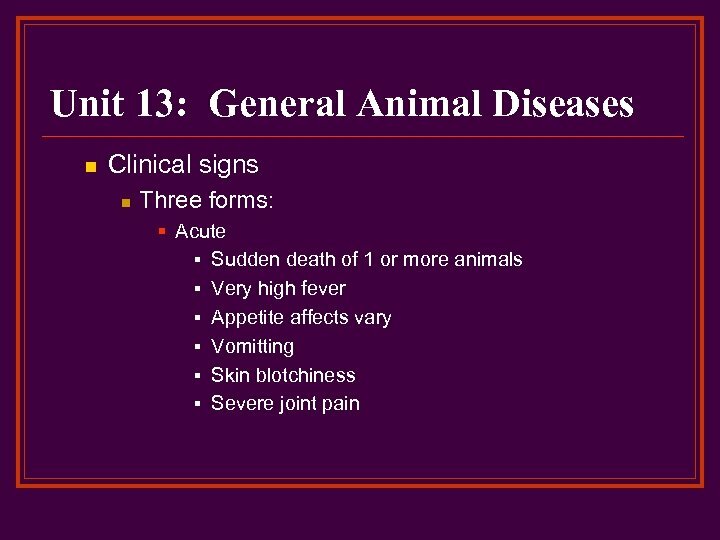 n n What is the related human disease? 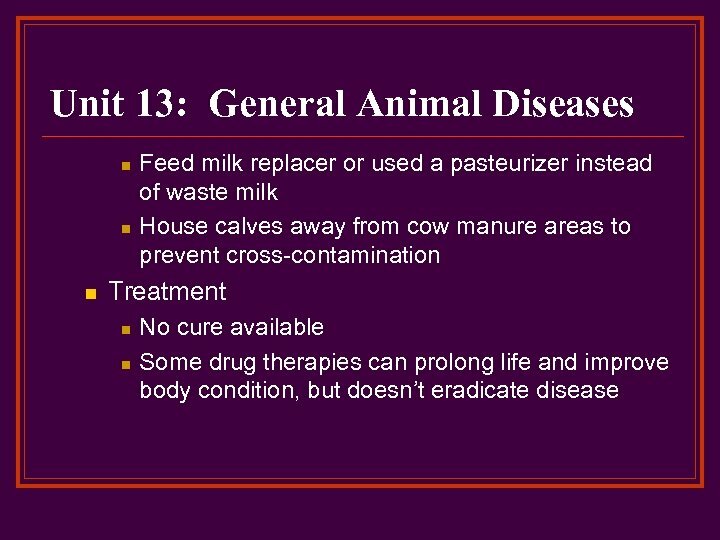 What effect could this have on the dairy industry?